Pretty impressive, huh? 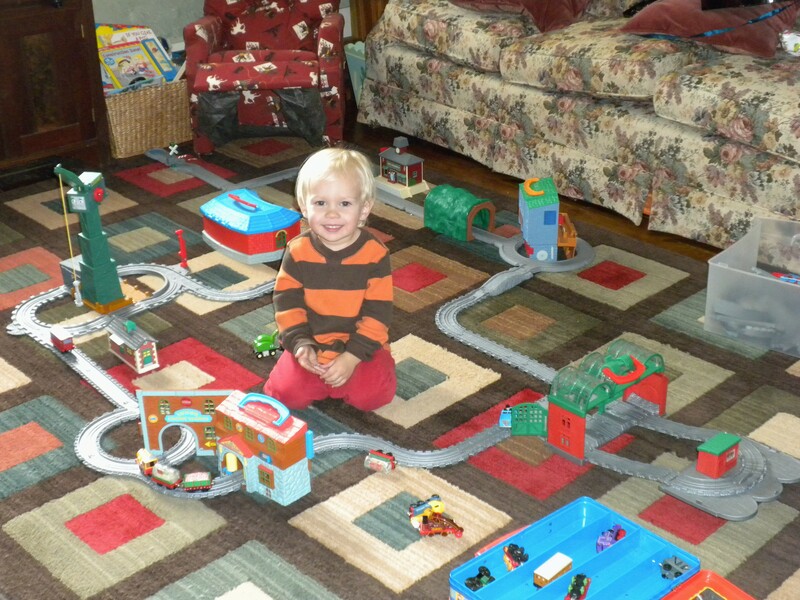 Granted, I did help him with some of the logistics, but for the most part, this was built by Rowan alone. 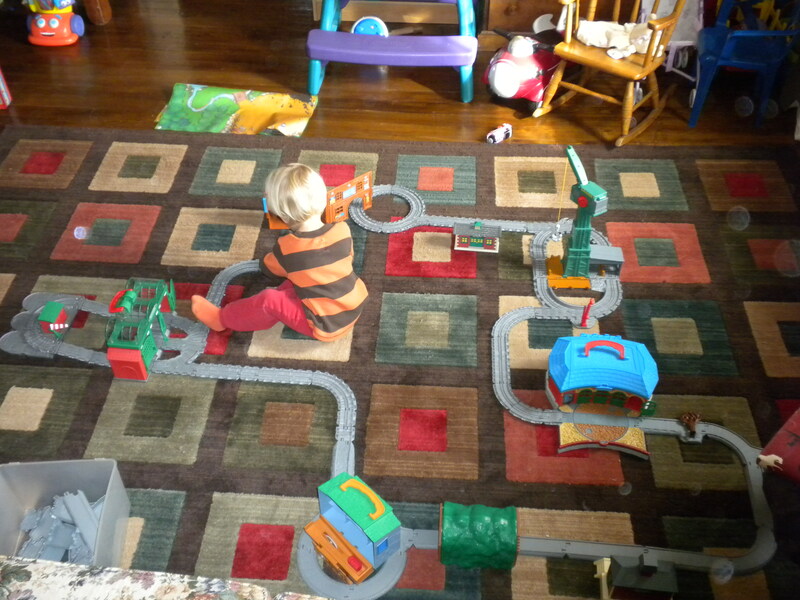 Comparatively, he spends more than twice as much time building than actually playing with the trains. It’s quite fascinating to watch!